NOT sure which KangerTech Replacement Coil heads to buy? These coil heads have been sourced directly from Kangertech, so you'll know you're getting the real deal for your Protank and you'll be set to enjoy the clean taste of your favourite eliquids. After all it's all about flavour, right? After replacement of new Coil Heads and filling of your Protank please allow new wick to soak in for 2 to 3 minutes for that perfect vape. 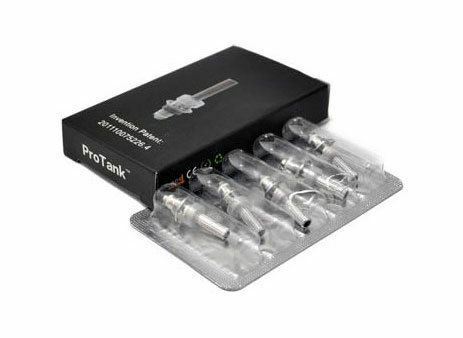 Buy a bunch of Kangetech replacement coil heads for your Kanger Protank while they are at such a low price! Picture shows 5 coils in a box, but the listed price is for 1 unit of coils, NOT for the box.